Show all files uploaded to all projects on a day. Show all todo’s sent to employees that aren’t complete -across all projects. Get the idea? 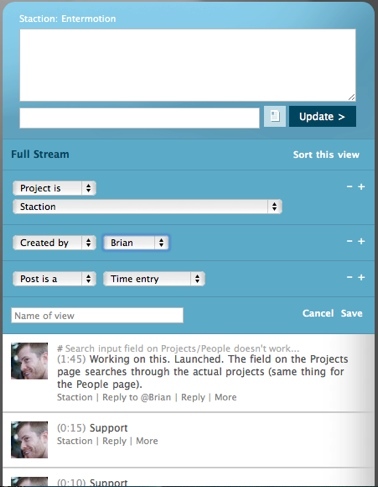 Staction lets you dive into your workflow like you never have before. Better still, any custom view you make can be saved, and is dynamically updated as new content matches the criteria. Which is better? Clicking through pages, and grooming RSS feeds, or simply sorting?